Fremantle midfielder Ed Langdon is looking forward to celebrating his 50th game milestone, to be played in the RAC Derby at Optus Stadium on Saturday night. 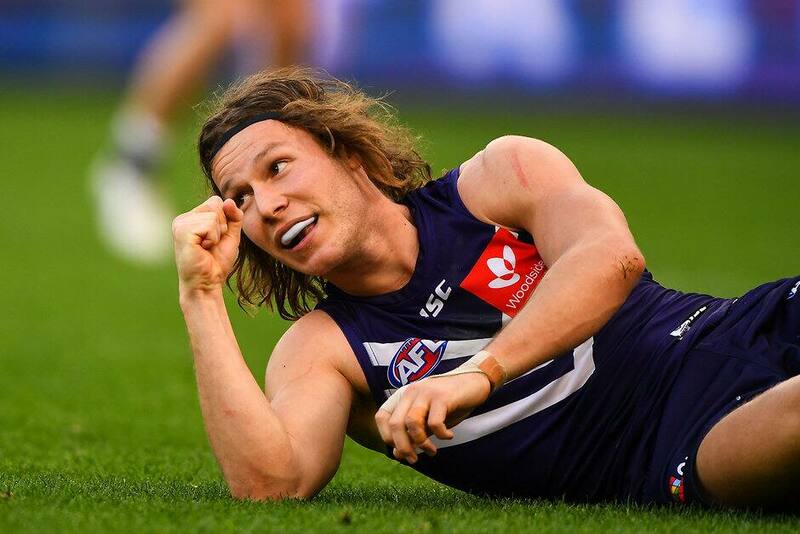 Playing 21 games in 2018, Langdon was one of Freo’s key ball movers last year, trailing only Nathan Wilson for metres gained and Luke Ryan for marks. Langdon said it took some time to bring up 50 games, after five seasons at Fremantle. “It’s a small milestone, but I think it’s important to celebrate every milestone you get,” Langdon said. Langdon said Thursday night’s training session at Optus Stadium was valuable ahead of Freo’s first night game of 2019. “It’s always good to get out here (on Optus Stadium) before a game and see how the surface is playing,” Langdon said. “It was a really good session tonight for the boys. Langdon said the derby clash would provide an opportunity to match up against some strong opposition. “It’s really good to challenge yourself against the best and I’m really looking forward to it,” Langdon said.